Make a Donation In Pakistan. You can make cheques/Drafts in favour of Tameer-e-Millat Foundation, and mail to 6th Floor,Tibet Centre, M. A. Jinnah Road, Karachi-74400. 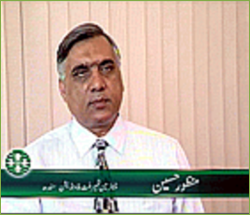 Habib Bank Limited, Tibet Centre Branch, ( Branch Code 0827 ) M. A. Jinnah Road,.Karachi-74400. Habib Bank Limited, Tibet Centre Branch, ( Branch Code 0827 ) M.A. Jinnah Road, Karachi-74400. Donations to TMF are tax exempted in Pakistan Please inform us about your address and donation details by mail or e-mail tmfsindh yahoo.com for issuance of official receipt.